Passover 2019 begins Friday night, April 19th. This post is really old but so is the holiday. The Easter Bunny and his entourage are back at the mall, and that means one thing to me. Passover, the eight day celebration of the Israelites’ exodus from slavery in ancient Egypt, is my favorite Jewish holiday, although I’m not sure why. It entails cleaning and more cleaning and then cleaning some more, and that is my least favorite thing to do. It also involves macaroons, so perhaps that explains it. In Hebrew, Passover is Pesach — PAY-SACH. The end of the word is that Jewish guttural throat roll that sounds like you’re a cat with a hairball. It does not sound like the “k” in Saks or the “ch” in, chosen, as in — people. But I digress. The first order of business in my household when I’m getting ready for Passover is to plan a Seder (SAY-der). A Seder is the holiday meal that revolves around the retelling of the Passover story through symbol, prayer, song and food. Think Thanksgiving on steroids but without the stuffing. I invite friends who are like family and we sit around the table and squeeze an otherwise four hour long ordeal into a modified fifteen minute yet comprehensive poetic version of the Ten Commandments with Charlton Heston without any love affairs or Technicolor. It goes something like this…they tried to annihilate us, we whipped ’em, let’s eat. During the planning process, I am also faced with the quandary of how to best observe the entire holiday, not just the Seder part. While I don’t change dishes or buy all foods that are “Kosher for Passover,” many Jewish families do. But, during the eight days we do not eat bread or anything that has obviously “risen” and in my house that’s basically just bread, cake or anything we deem to be fluffed up. My own internal debate as to whether Oreos without the middle are flat enough to be eaten on Passover is as of yet, unresolved. To make room for Passover foods in the house and for the holiday, in our heads, we begin by eating all the chametz (it’s the “ch” sound again), or leavened products in the house. Certainly we could sell it all for a dollar, as is customary, to a non-Jew, but eating it is more fun. We then perform the ritual dusting with the feather to ensure that all the chametz crumbs are gone from the house. The problem is, in my cabinets we need a full feather duster. In Passover as in life, every family has their own rules. With the cabinets cleaned, the shopping ensues. I arrive home from the grocery store with boxes of matzah, matzah meal, matzah farfel, matzah flour, matzah cake mix and a case of macaroons. I store it all on top of our spare refrigerator in the laundry room right in front of the leftover matzah from 2006, 2005 and 2004. Matzah lasts forever. And while some of that (new) matzah packed in my kids’ lunches might spark comments among their classmates, I always include extra, because it seems to be the hit of the cafeteria every year. It’s a time when my kids wear their religion on their sleeve, so to speak. They share a bit of Jewish culture at the lunch table where their friends can taste it, for real. That’s the reminder in one full swoop that they’re different and the same, at the very same time. They’re sharing bland and binding crackers, but part of a rich and colorful heritage of which they are both educated, and proud – and then they go off math class. Even when I make light of it, it’s pretty heavy duty. The fact that my kids know what to expect, and therefore, expect it, is very reassuring. They remind me about everything from making homemade matzah to the Passover mac ‘n cheese to our aversion to gefilte fish to who gets to search for the Afikomen (a hidden piece of matzah) during the Seder to the silly props on the holiday table to a debate on why or why not beans or pasta or rice are eaten on Passover. So I guess the best part of Passover, aside from the macaroons, is the unfailing recurrence of every part of it every year, making it a week filled with our own family traditions. And for me, that’s enough, or as we say at the Seder—Dayenu! EDITED TO ADD: I now live in Philadelphia and am more flexitarian than vegetarian. I still make macaroon and a killer peach kugel! I enjoyed the humor and history of your post. Holidays are about family traditions at our house too, whether about Christmas, Easter, 4th of July, Thanksgiving, or Halloween. When my kids were growing up we even had traditions for the lesser holidays of Valentines, St. Patrick’s Day, President’s Day (oh yes, we had to have cherry pie). The real significance is the love and memories that holiday traditions evoke. When we were first married and living in an apartment, the couple upstairs were Jewish. The husband was a rabbi and felt it important to share their faith with the other ten couples in our building. We enjoyed a Seder meal while he explained the significance of it. Then there were other holidays such as Chanukkah, Rosh Hashanah, Yom Kippur, and some others I had never heard of. We always got a brief lesson in the meaning of whichever the current holiday was. It was a great history lesson for all of us. We all, in turn, included them in our holiday preparations and plans. It was a wonderful give and take for all of us. I loved reading your Passover traditions. It made me think about how much of what is important about them is the ritual itself. In our family, the cleaning was never a big part of it (but maybe I’ll think about starting it this year…the pantry moths seem to be telling me something). For me, Passover brings up being together with family, telling the story of our mythical ancestors, and passing on the value of battling against injustice and for freedom. Oh, and throwing plastic frogs at each other during dinner. 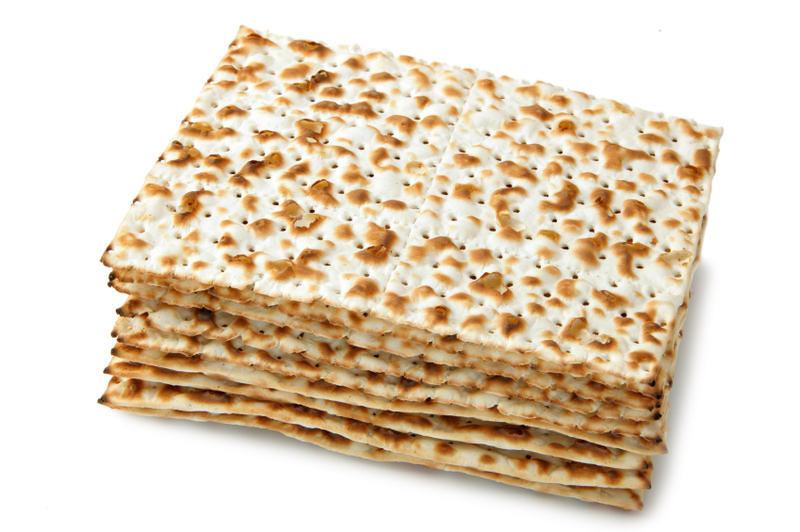 Thanks for this beautiful post explaining your Passover traditions. Best wishes to you and your family. Wonderful and worth repeating; I’m sure those memories with all the family linger for you as they do for me. It may be every Jew’s favorite holiday, perhaps for the “at least four cups of wine”, and in our extended family’s case, the opportunity to create a new and relevant Haggadah each time (lots of parallels between slavery in Egypt and various aspects of modern life and politics). We have a collection of stuffed plagues and wind-up crickets (pretending they’re locusts, or maybe they are) that I throw at the grandkids during the seder to make it interesting. Well, four little boys – they love plagues. But I’m thinking Oreos are OK because I don’t think there’s any yeast in them. But they do have flour…hmmm. Thank you for this glimpse into your family celebration.